Great people that work there, super easy to reserve and get a locker that met my needs. The facility is clean, secure and run well and efficiently. I have had a locker at the Wall Street location for over a year and am quite happy and the unit and location work well for me. The only 2 criticisms I would note are I wish the facility had either longer access hours (later) or it was accessible 24 hours a day and, like all Maple Leaf Storage facilities, the increase in fees every 6 months will eventually force me to look elsewhere. As for now, the cost is acceptable and the facility and staff are great. Have been with Wall Street location for 3 yrs. Friendly and helpful staff. Clean facilities. No complaints. Would recommend. Very helpful staff. Would recommend. We have stored at this location for 9 years and have had nothing but courteous & efficient service. Have been using MLS for a year now. Robert and Clinton are very friendly, courteous, and helpful. I have been dealing with Wall Street Maple Leaf Storage for over 4 years now. I can tell you that the facility is clean, secure and the staff are very accommodating and friendly. 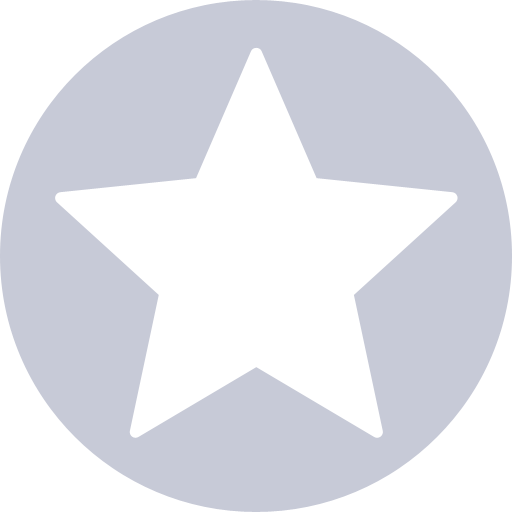 There is no hesitation in recommending this storage facility to others who are looking for storage. 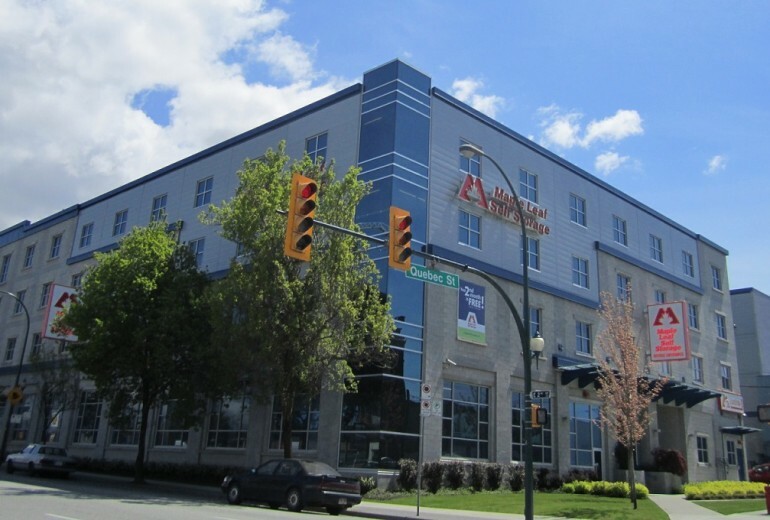 The location is centrally located to Highway # 1 and in no time you are in either North Vancouver or on your way east to Burnaby or further afield. Great customer service and location. Have stored with them on a couple separate occasions and really positive experience both times. I have had exceptional service from them. They are extremely helpful and responsive. Well-kept place. Washrooms available during office hours only. Free WiFi where they can see you. Good 3 bay loading dock. Entry code systems allows extended hours access. Supplies to purchase in office: boxes, mattress covers, tape, and great moving gloves. Free copies of BC Business Magazine once a month. Wide hallways, sturdy and safe moveable ladders. Only thing missing is a snack machine, but they make up for it with bottomless cups of water and coffee, and treats around Hallowe'en and other special days. Friendly staff, good value for the location and excellent facilities. Recommended to anyone we know looking for storage. I found that since my start with this location, I have had nothing but a great experience. The staff are knowledgeable, welcoming and very helpful (I'd say friendlier than most other service based industries in Vancouver). 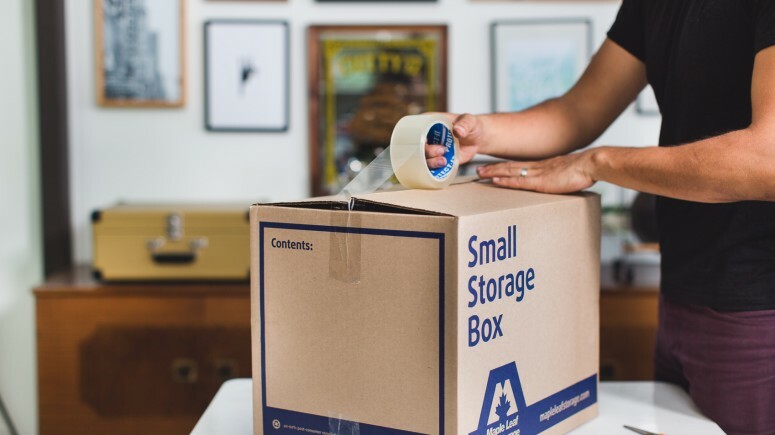 The rates seem to be the best from what I could find online and it has been a seamless process to have my storage unit here! Glad I chose this location! 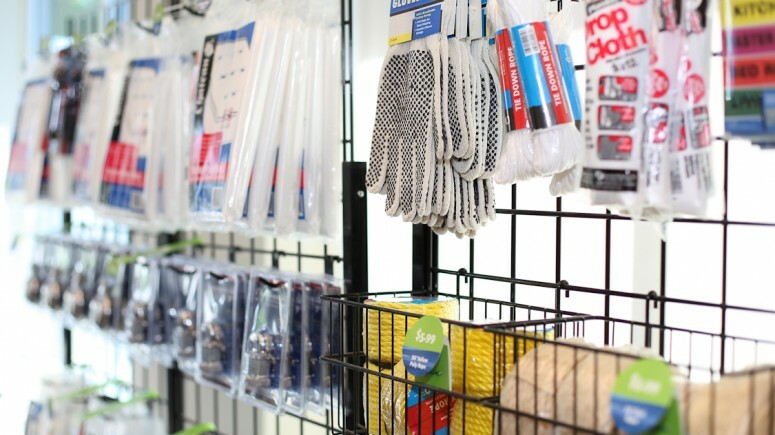 It's a reliable, clean space with great customer service, always. I have found the rates reasonable. It's the best price I found in the city for a storage locker and the staff is very helpful and courteous. It is also a very clean. My husband and I have been clients for over 10 yrs.The staff is very customer oriented,friendly and very helpful.The prices are competitive and they have good promotions occasionally. If you email them with a question,they are on it immediately. I highly recommend Maple Leaf storage on Wall Street. I really like the monthly email I receive reminding me to pay and the reminder when I forget. In the beginning, prices were a bit lower which we appreciated. We needed to get a larger space for a good price and we found out that by taking an upper unit we could save a few dollars. There are always latters available and small lifts for the heavier items. At the end of the day, it’s annoying when rent increases every year and hauling heavy things up and down can be tough BUT it’s a reliable unit in a safe feeling and clean space so we are happy. Clint was fantastic! Shows us a few units and took the time to go over options and cost. Have been back to the Storage facility a few times now and all staff have been great. Very polite, professional and friendly to work with. Major bonus that they are the only storage facility that I know of in Greater Vancouver that has a truck level loading bay. I had a great experience with this company. Fantastic staff. Super clean and easy access. Definitely recommend it. The assistant manager, Clint, was very helpful. Great staff and a clean, conveniently located facility. Wonderfully friendly and professional staff. The property was clean, feels safe. I am a bit overwhelmed at the size of the place and do find it hard to deal with the upper unit and equipment. HAD TO MOVE ALL OF OUR BELONGINGS IN A HURRY - YOUR STAFF WAS VERY HELPFUL. people are very nice and help full.p.s have a good day. The people I chatted to over email and in person were very helpful. I also feel my items are in a safe place while being stored. clean, organized, safety focus, near my home, not too expensive, and fun to use the lift. I have to say that from the time I originally booked the storage unit and moved my stuff in, the service has been wonderful. Very good team at this location on Wall St. in Vancouver. Customer service is the best, excellent knowledge to assist with finding the perfect locker to suite my needs. Very reliable and approachable for any questions. Instructions are complete, and the staff are great people. I would trust Maple Leaf Storage again without a doubt. Amazing place with great customer service. I would highly recommend this place for storing your belongings. I had to move out of my home after 29 years, but couldn't find a place so had to store my belongings. The staff showed me all my options and guided me to the right choice for my needs. They were always friendly and accommodating at meeting my needs. Even when there was a misunderstanding that was my fault they went above and beyond to make things right. I would highly recommend them to anyone that needs a storage locker. Amazing staff with exceptional client service. The staff was excellent, from my first phone call to my parting "Farewell". Knowledgeable, friendly, and honest. I always appreciate when staff "downsell" services that actually fit my needs (rather than upsell me services or products that don't. It speaks to the integrity of the company and that they are there to suit my needs, not only make money. I can trust them. I felt very well taken care of, just like my stuff! We were looking for some short-term storage due to an office move and the staff were very helpful with providing options for us as well as walking me through the account set-up. Everything was explained clearly and the entire process was handled in a professional manner. Super helpful staff! Only thing: no vending machine for cold drinks!!! We had a flood in the basement and found ourselves desperately needing storage. A lot of places didn't have availability but Barbara and her staff at Wall Street found us 2 ideal units, close to each other and offered the best available price. Thank you for the friendly, great service! 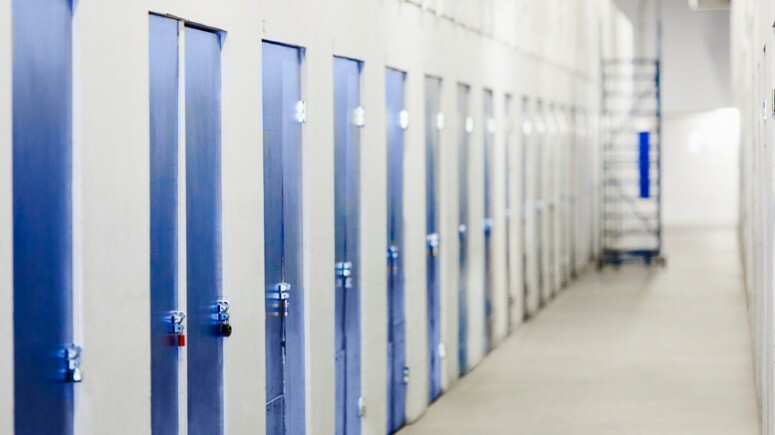 Wall Street Storage has a range of storage options, very helpful and friendly staff! I would not hesitate in using their facilities again. We had a storage locker there for 13 years. Each year it was easy to arrange payment from overseas. All communications were friendly and efficient, as was our final move out week as we are home now. Very impressed. 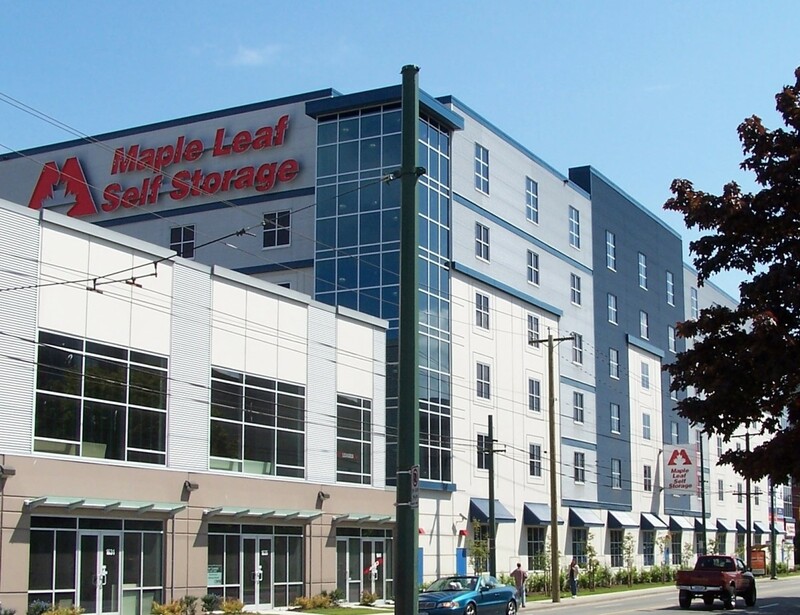 The experience we had at Maple Leaf Storage at Wall Street Location in Vancouver was exceptional. We stored our stuff for about 1.5 years. Great pricing, easy location, and what was best for us was their exceptional customer service. Any time we had a question, or concerns, Rob, Barb, and Clint, didnt matter who it was, they provided the answers my family needed with smiles on their face, 100% of the time. Great experience overall. Highly recommend this location. 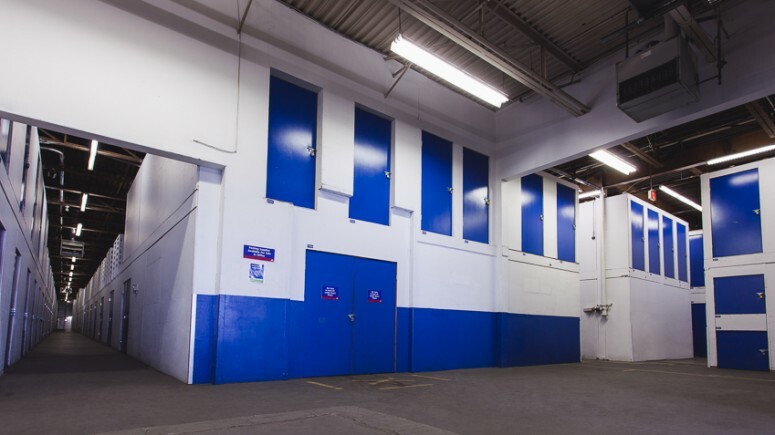 It was easy to arrangto a storage unit to rent the, it was quick and hassle-free and the staff were very accommodating. I have been a customer of the Wall St. location for 6 years. I can not say enough about the fantastic, friendly and professional staff here! They have been a great help in sourcing the best locker size for my needs. When I had to emptied a 4 floor home, I had miss calculated the amount of space needed for all our stuff. I had decided on lockers - which I filled - that turned out to be not large enough. With their expert suggestions, help and their abundant patience, I managed to finally settle on the 3 that fit everything. Their patience knows no bounds! I am very grateful to them for helping to make our transition so smooth and stress free. Besides that I felt all my possessions were secure and in a well maintained and clean space. No doubts I would use the Wall St. location, if I needed and of course, highly recommend them! Thank you so much, once again!!! I've been a customer for 3 years now, and have found the staff to be friendly and very helpful. The facility is well looked after and I've never had any concerns about leaving my things with them. I would highly recommend them to anyone needing a space to store items. Great experience yet again. I stored with Maple Leaf at this location years ago and I have to say its the best customer service always. Email support or by phone - its prompt, courteous, and friendly. The building is clean, and well managed and secure. Rates are better than other companies too. I have absolutely no complaints about the service provided at the Wall Street location. Whenever I have had inquiries I have always been able to get through on the telephone to the office staff directly. The service is prompt, courteous and very professional. I LOVE that I get a friendly and timely e-mail reminder when payment is due and it doesn't hurt to have a few days grace period in which to make a full payment without penalty. Top notch service all around. I wouldn't consider storing my belongings anywhere else. Large facility that seems to be well taken care of. All interactions with the front desk staff have been great- they’re all super friendly and helpful. We’ve had stuff in storage here for a few months and have had no issues with the convenient opening hours or facilities! Definitely recommend (plus their options were better priced than competitors in the area at the time we were looking for a storage facility)! 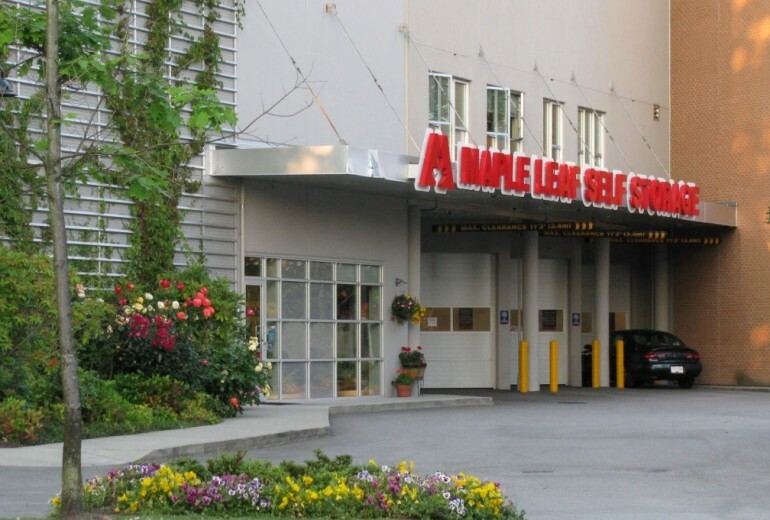 With a three-level, established facility on Wall Street, Maple Leaf has enough available units so you can rent one in the exact size you need. Climate-controlled units keep important documents, antiques, furniture, and cardboard boxes safe and dry. You’ll have total peace of mind with 24-hour video monitoring, an on-site resident manager, and state-of-the-art fire safety systems. With a gated and covered loading and staging area, there’s plenty of space for you or your movers to manoeuvre. The main loading dock has three height levelers, so no matter the height of the truck, you’ll have a smooth, even plane and no need to lift in or out of the back. And if you have a lot to carry during office hours, we can lend you one of two small forklifts at no extra charge. 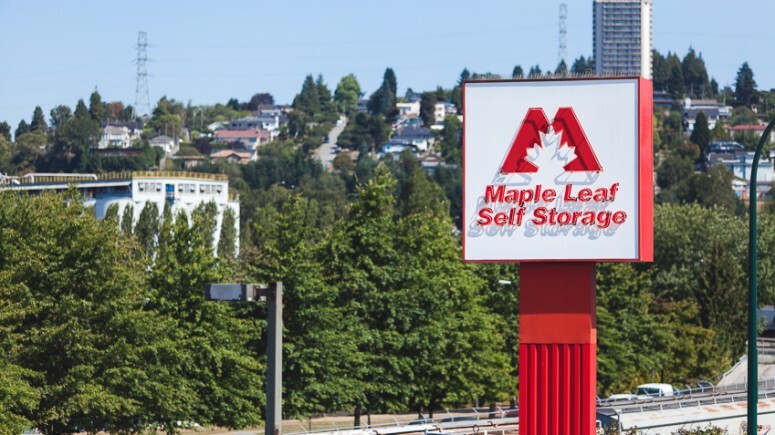 This Maple Leaf Self Storage location is situated in East Van near Playland, Burnaby, and the Second Narrows Bridge, making loading or unloading convenient for those living or working nearby. *Offer is available on selected units, subject to availability. Available at the Wall Street location. Subsequent storage periods will be subject to re-quoting. If customer moves out during the first month, no discount will apply. Offer has no cash value. Cannot be combined with any other storage offer other than Multipack Box Deals.